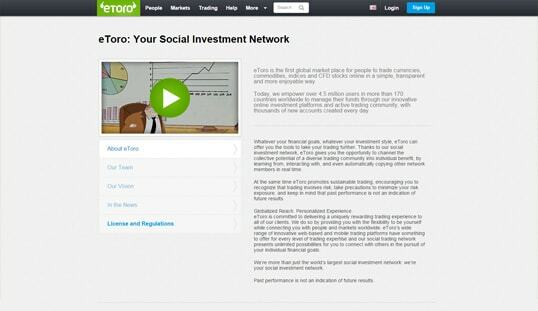 Online forex trading platform eToro revolutionizes the current online trading department with its unique and groundbreaking social platform. eToro stands out from the other online forex broker today, and this is hugely because of how its platform functions. Being a social trading application, it fosters a friendly and dynamic relationship among its users by benefiting from one another’s insights and knowledge of the market. This platform was established in 2006 and has started as a humble forex trading website. Notwithstanding the fierce competition through the years, eToro remains one, if not, the most sought-out trading platform even up to today. This is mainly because of its ever growing arsenal of trading services that are geared to further amplify the trading experience of its clients. Compared to the standard trading websites, eToro has brought online forex up a notch by providing online brokers with three in-house platforms in which they can invest and trade on a different level. First off is the world-famous eToro OpenBook. 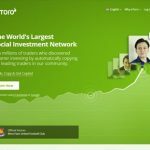 This exclusive platform is the first one to be produced by eToro. The OpenBook is also considered to be the most popular forex social trading platform in accordance to the majority of online traders. In this option, trades are processed in real-time and every market available can be accessed in an instant. The best part about the eToro OpenBook is that it allows traders to interact with each other in order to strategize, analyze, and assess current markets for a more successful trading decision. 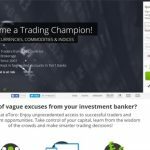 As eToro moved forward, it then came up with two additional trading platforms namely, the eToro WebTrader and the eToro Mobile Trader. In layman’s terms, the eToro WebTrader is similar to an add-on tool, which is specifically designed to be integrated to the eToro OpenBook. By combining the two options, traders are bound to experience a more seamless and precise trading process. On the other hand, eToro Mobile Trader is an app that allows users to access almost every service the OpenBook has on their mobile. Through this application, online traders are now able access eToro via their handheld devices. When it comes to trading markets, eToro’s offers are virtually similar to every trading platform in the market. You can trade on indices, commodities, assets, and even currencies. Although this platform is exclusively powered by fiat, this platform has added Bitcoin to its trading market catalog to appeal to die-hard cryptocurrency fans. 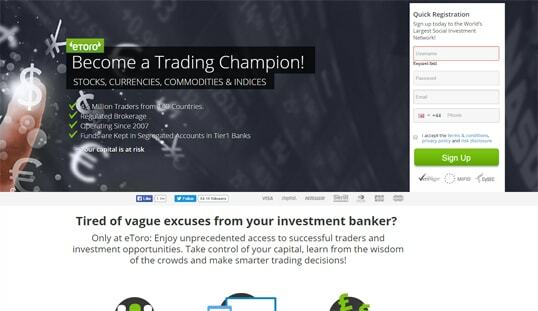 eToro’s overall platform is the main highlight of this online trading website. 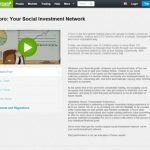 Unlike its competitors, eToro’s platform shares similar characteristics with the famous social media network Facebook. As such, eToro has a newsfeed, which displays all the current trades happening between fellow traders. This can inform you about the situation happening within the trading market. You can also share notes, status, or any industry information just like on Facebook. Traders can add fellow members to their friend list to widen the trading circle for a more effective online brokerage career in the long run. This groundbreaking design only goes to show how efficient eToro is as an industry pioneer. Considering that eToro is a fiat-powered platform, its registration process is not tedious and time consuming. As a matter of fact, you can create an account just by providing your email address, username, and password. In-depth account information can be accomplished later on and is not entirely mandatory. Thus, joining this online trading website also appeals to Bitcoin traders who treasure anonymity. Unfortunately, Bitcoin deposits and withdrawals are not accepted on eToro. The only payment processors available on this platform are Paypal, MoneyGram, Neteller, and WebMoney. Credit card payments are also accepted but for deposit purposes only. 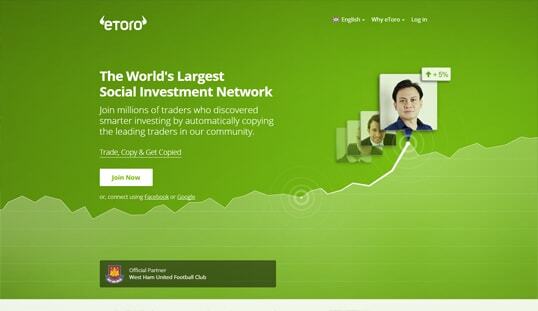 Other than its groundbreaking features, eToro is flocked because of its generous promotion. Dubbed as the 50% fifth copier bonus, traders who have attained leader status in their respective markets are given 50% additional funds to their investments. As mentioned earlier, eToro can be accessed via the eToro Mobile Trader app. eToro’s customer support department operates 24 hours from Monday to Friday, which means any client queries are reviewed and answered in a prompt manner. If you have any concerns, questions, or suggestions, feel free to contact this platform’s customer service through sending them an email, conversing via chat support, or through their phone.